My name is Shady Gabal. I'm an iOS and Full Stack Web Developer, and a UI/UX designer. Currently I'm working as a software engineer at Facebook, but I've worked on many projects throughout my career, from a transit app designed to eliminate waiting for buses and trains, to a social network aimed at helping millenials meet new people, to a weather app downloaded in over 50 countries. Scroll down to check some of them out. The first app of its kind, AutoWeather delivers daily morning notifications about the day’s weather to you right before you wake up. Just download the app, open it once to configure it, and it’ll do the rest - you’ll never have to open it again. From densely-populated areas like the USA, India, and China to smaller regions like Azerbaijan, Croatia, and Belarus, Autoweather has completely won over users with its simple interface and breathtakingly gorgeous design, and is currently being used by people in over 50 countries worldwide. Created to make commuting feel a little less like hell, and designed with simplicity in mind, Third Rail tells users when to leave where they are to get to the next bus or train exactly when it arrives, no waiting required. Winner of the 2014 NYU Global Hackathon, it is used by students from over 20 colleges in New York City, along with thousands of other commuters who are tired of waiting for their bus or train. 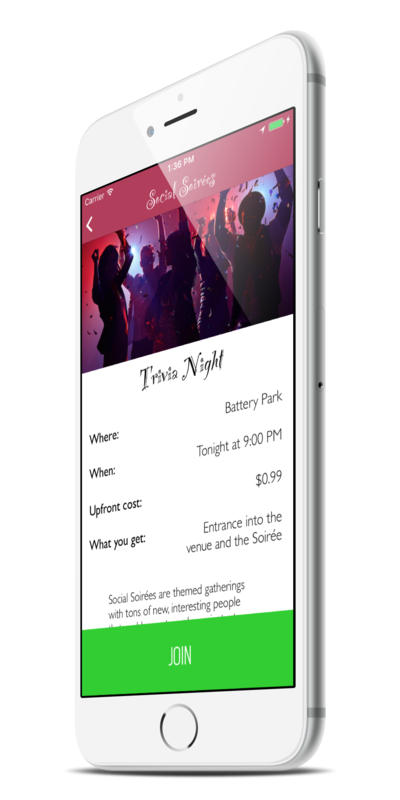 Soirée was a social networking app designed to help millennials meet new people through nightlife activities automatically curated and created by a machine algorithm based on demand in a certain localized region. Started by a group of young professionals, Soirée operated throughout 2016, and received thousands of downloads through the App Store. Want me to build your iOS app or website? Have a software engineering position you think I'd be perfect for? Either fill out this form or email me at shady@shadygabal.com , and I will reach out as soon as possible. I've successfully received your message, and look forward to speaking to you soon!